Dental erosion or sometimes called acid erosion is the loss of the surface of teeth. It is identified as the irreversible loss of tooth structure due to chemical dissolution by acids without any involvement of bacteria Dental erosion is the most common oral disease of children ages 5-17. The critical pH of dental enamel is estimated at 5.5 and normally is kept in balance by saliva. The saliva contains buffers to neutralize acids and also contributes phosphate and calcium ions to aid in remineralization. Dental erosion results from the introduction of gastric acids into the oral cavity. As the frequency of these acids increase and overcome the buffering ability of the saliva, the acids start damaging the surface of the teeth. Dental erosion can be caused by several things even by the things in your stomach. Some of the main reasons for dental erosion are given below. The regurgitation of stomach acids after meals and especially after overeating is considered normal. The salivation and swallowing are reduced during the sleep time and that is when these gastric acids are most harmful. According to a study, 49.4% of the alcoholics were found to show signs of erosion. Alcoholism with a prevalence of around 10% can result in dental erosion due to frequent vomiting and increased regurgitation. Bulimia is an eating disorder which results in intentional vomiting as a means to maintain the desired weight. It is more common in western industrialized nations with a prevalence of approximately 5% in 18-35 years old females. Dental erosion is reported in the 90% of the people suffering from bulimia disorder. The intra-abdominal pressure increases during the pregnancy which results in an increase in reflux. Dental erosion in pregnant women is rare unless the vomiting is chronic. Most of the soft drinks and fruit juices have low pH level and any beverage with a low pH volume is a risk for erosion. A number of latest studies indicate that dietary acids are a major contributor to dental erosion. Soft drinks double the risk of erosion. Airborne industrial acids and chemicals have been implicated in dental erosion among the factory workers, particularly in fertilizer or battery plants. Swimmers have also reported erosion due to low pH of swimming water. Dental erosion is irreversible. Once it has ruined your teeth, they are ruined forever unless you get synthetic ones. The more focus here should be on preventing and reducing dental erosion. A lot of studies shows that milk and yoghurt help in the prevention of erosion. Flouride may contribute to demineralize the tooth enamel. Dental erosion can damage your teeth permanently and this damage is not reversible. So, be careful with all the low pH beverages and acids. If you see any sign on erosion please contact the author of this post at Thordent. The health, safety, and nutrition are the most important factors to consider in a child. The significant increase in the number of children in today’s fast-paced world makes the health and safety of the children rapidly growing. The more healthy the child is, more opportunities will come to his way and more likely to become productive adults in the future. However, there is always a hindrance in keeping children healthy. The best example of that is their oral health. In today’s generation, children are always prone to so many diseases, causing them to suffer in many ways. Here are some dental issues that children encounter. Usually called as a hole. We can’t see pits and these pits are only visible using dental x-rays. Pus. Tooth abscess causes the pus to build up. Gum diseases are a serious problem and if not treated earlier, it will lead to damaged bones and a loose tooth. The most common symptoms of gum diseases are having a bad breath that won’t quickly go away, red and swollen gums as mentioned above, and bleeding gums. Parents are especially concerned when it comes to the health of their children. They take a good look at the habit and behavior their children are doing. Such practices include thumb sucking which have a negative effect on their oral health and the pressure and sucking motion applied will make changes to the teeth and mouth. Some of the children may find it hard to stop doing thumb sucking. However, they will figure it out on their own when the behavior is no longer acceptable because of the situation or any peer pressure. Dedication in promoting oral health makes a big difference not just for children but to every individual with a different age range. Self-care and proper attitude when it comes to our health are important too. 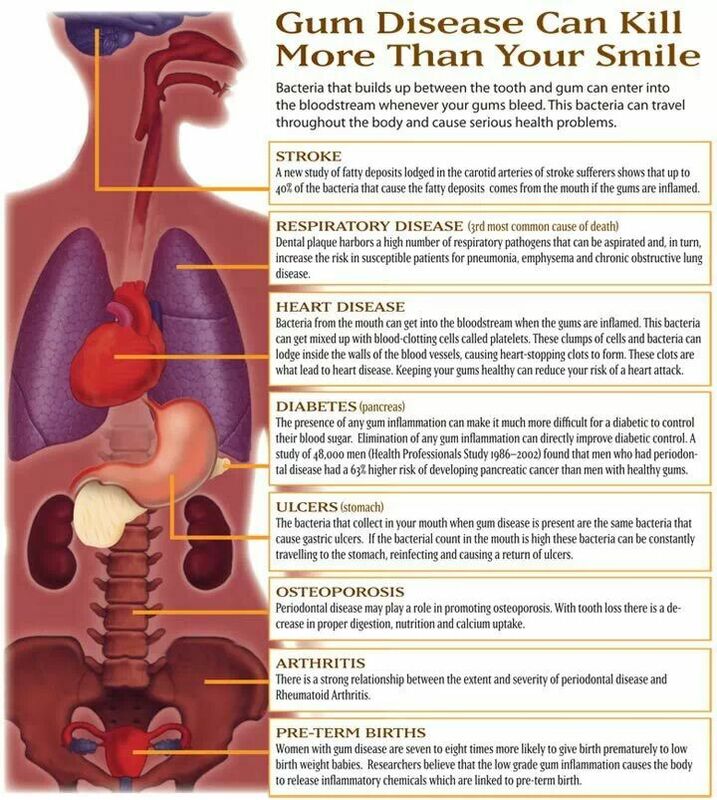 Everyone should also learn what cavity is, what causes cavity and its impact on our selves. So, start protecting and guiding your oral health now. Lance Stan is a freelance writer and a health enthusiast who loves to create and writes ideas concerning dental and overall health. You Might be Gappy if You Don’t Brush Your Teeth for 2 Minutes Twice per day. Why is sugar so bad for my teeth? Healthy Mouth, Healthy Body… But What’s the Link with Replacing Missing Teeth? Is a dental hygienist necessary? Cancer is the uncontrollable multiplication of harmful cells that attack cause damage surrounding body tissue. Mouth cancer looks simply like a growth or a persistent sore in your mouth. Unless it is diagnosed early and treated correctly, oral cancer can become a threat to life. The commonest symptoms of mouth cancer could be one or more of the following. The appearance of velvety patches in the mouth which could be white or red (or speckled). Bleeding within the mouth for no apparent reason. Unexplained sensory abnormality (pain or tenderness, numbness or reduced sensitivity in any part of the, face, neck, or mouth. Some difficulty in swallowing, speaking, chewing, or in moving your tongue or the jaw. Chronic hoarseness or a change in your voice. Frequent pain in the ear. A changed bite (how the upper and lower teeth fit together). A noticeable loss in body weight. As advised by the American Cancer Society, American males are twice as likely to get mouth cancer as females. Further, males older than 50 stand the highest risk. It has been estimated that more than forty thousand persons in the United States were diagnosed with mouth cancer in the year 2014. Smoking – tobacco smoking in any form e.g., cigarette, pipe or cigar, can increase your risk of oral cancel six times over nonsmokers with similar general health. Smokeless tobacco – snuff, or dip, or those who chew tobacco, or its derivatives, stand 50 times greater risk of developing oral cancers. Alcohol – Alcohol drinkers are nearly six times as likely to develop mouth cancer as non-drinkers. Genetic Tendencies – People with the incidence of cancer in the family are at a greater risk. Exposure to sun – Excessive exposure to the sun, especially at a young age, can cause cancers. HPV (Human papillomavirus) – Some strains of HPV are associated with OSCC (Oropharyngeal Squamous Cell Carcinoma. If you observe any one or more of the symptoms discussed above, do not delay contacting your dentist. One of the most effective protection against oral cancer is optimal hygiene maintenance and regular checkup visits to your dentist. During each checkup visit, your dentist will perform oral cancer screening so that any malignancy can be detected and treated in a timely manner. Remember, oral cancer can be easily treated if it is diagnosed in early stages. Visit your dentist immediately if you feel any lump or swelling which is not going away. Parody of Happy by Pharrell Williams bringing some fun into dentistry but also delivering some gems of advice! Enjoy!! 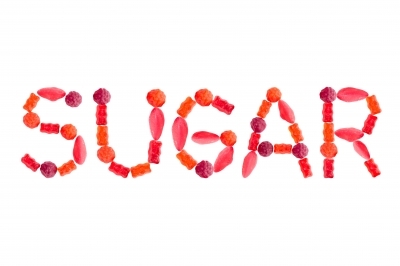 sugar is bad for your teeth because it feeds the acid excreting bacteria. As the bacteria in your mouth feed on the sugar they excrete acid, this acid can attack your teeth causing dental decay. If these bacteria are not kept at bay they can multiply causing extensive dental problems. The biofilm which covers your teeth and harbours the bacteria can form into hard deposits known as plaque. This plaque can irritate the gums which causes the gums to recede, this then exposes more tooth to acid decay. How to beat the sugar and acid attack. Wait 20 min after eating before brushing your teeth, this gives your teeth time to harden again after the acid attack. Brush your teeth for 2 min twice per day. Use an interdental brush or floss to clean in between your teeth daily. Use a fluoride mouthwash once per day, in between meals to boost the strength of your dental enamel. Visit your dentist regularly as they can spot the early warning signs of decay much sooner than you. They can then ensure that the dental hygienist works with you to modify your oral health care routine and prevent the decay worsening. From a health point of view replacing missing teeth is also important. When a tooth is lost the opposing tooth on either side will have a tendency to drift. The image to the right shows this tooth movement and you can see that the space where the tooth was lost is reduced. This reduction in space and the taping of the adjacent teeth can mean that replacement of the missing tooth at a later date becomes far more difficult, and in some cases impossible. Fighting dental problems is a joint effort between you and your dental team working together. For the dental problems to be eliminated there must be motivation from both sides to focus on eliminating current problems and preventing similar future problems. A dentist’s role as Dental Health Educator is paramount in helping you prevent dental problems so that you can keep your teeth for life. Care can be provided tailored to your needs and wishes. How can I ensure my teeth look white? What foods and activities should I avoid? Maintain the colour of your teeth by using whitening toothpastes to help avoid your teeth staining. If you are looking for a brighter smile, consider safe and professional teeth whitening treatments. Definitely avoid using domestic bleach or any acid containing products to whiten your teeth. Consider having your teeth cleaned professionally by dental hygienists. Watch out for signs of bad breath, holes in a teeth, pain on biting, unusual movement of teeth, clicking joints, unsuspected lumps or bumps, ulcers that persist, signs of tenderness or swelling or even headaches. After consuming a meal always end by having a piece of cheese or sugar free chewing gum. This helps to neutralise the affects of acid that is present in the mouth. One of the biggest shifts in modern day dentistry has been the move away from cosmetic dental treatments towards a more preventative and conservative approach. This means that many dentists in the UK at the moment are focusing on the need to preserve teeth, maintain oral health and only undertake cosmetic or restorative treatments if the need is absolute. As part of this preventative and conservative approach the need to look after your teeth with good oral hygiene has taken a recent increase in the minds of many dental professionals. But how can they deliver this at the same time as providing excellent restorative work for the patients that need it? In some dental practices oral hygiene education and preventative measures are undertaken by the dentist themselves, in the long run this can end up more expensive for the patient because the time of the dentist is rather expensive. It is also not o good for the dental practice as the experienced practitioner is spending his time on oral hygiene when it would be more beneficial to be treating patients with more complex dental problems. This has led to the increase in the use of dental hygienists in many dental practices. A dental hygienist is a highly qualified member of the dental professional team with dedicated training in looking after your oral health. The role of the dental hygienist has increased recently with the ability for them to see patients directly without the need of a referring dentist. This has allowed patients direct access to the dental hygienists, which can only be a good thing for oral health. Your hygienist will assess your oral hygiene at every appointment and monitor this on a sliding scale known as a BPI scale. This scale allows you to monitor your performance over an extended period of time to ensure that your oral hygiene is getting better. Without good oral hygiene plaque has a tendency to build up on your teeth. It is around these plaque filled areas that the bacteria lurk, as the bacteria digests the sugar in your food. 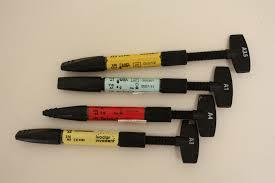 They excrete an acid and it is this acid which causes dental decay. Keeping plaque at bay is a vital part of maintaining a good oral health routine and your hygienist will work with you to ensure that any plaque buildup is kept to an absolute minimum. They will let you know about teeth brushing techniques, which is the right toothbrush to use, how to floss properly and which mouthwashes are best to use. Your dental hygienist can also undertake deep scaling and polishing. This is the process whereby they ensure that the teeth are clean all the way down the root face even under your gum. This is an advanced procedure, but is often necessary for patients that have not had good oral hygiene in the past. What role does the dental hygienists play? So we strongly recommend that you heed the advice of your dentist and make regular appointments with your hygienist. Doing this will keep your overall dental costs down and ensure that you keep your teeth fit and healthy for life, just what everyone wants. Many times preventive dentistry and cosmetic dentistry are split into two separate ways of thinking. However more and more dental practices are now considering the blending of these two disciplines to ensure that preventive dentistry is always cosmetic and looks good, and that cosmetic dentistry always is as minimally invasive as possible. This trend in dentistry is appealing to the patients and is encouraging more people to go back to see the dentist. In years gone by one of the only ways of treating a patient that did not like the teeth was to cut the teeth down into stumps and place crowns (dental caps). Then as the years progressed dental veneers became more common, these often only required a small reduction of the natural tooth with the thin and high-strength dental veneer being bonded to the surface. The progression from this type of dental veneer led on to what is known as no-prep veneers popularised by Lumineers. The technique involves no reduction of the natural tooth tool and simply bonding the new, custom-made dental veneer to the surface of the existing to. This type of zero preparation veneer can only be used in certain circumstances where the tooth is rather in standing. Having no preparation of the existing tooth can also, in some situations, compromised the way the dental veneer fits against the natural tooth. If this junction is compromised it can leave areas for bacteria to infiltrate and cause dental decay and disease. Unfortunately zero preparation veneers have often been prescribed when perhaps an alternative option would have been better, typically this is down to patient pressure requesting this type of dental veneer often after seeing an advert for no preparation veneers requiring no dental injection. The most recent advancement in minimally invasive dentistry is the use of dental bonding. This involves placing a small amount of high-strength yet malleable composite material directly onto the tooth by the dentist. The dentist slowly build up the tooth into the new shade by adding small amounts of material at a time, curing that material between each addition using a high-strength light. These light-sensitive or light curing materials are provided to the dentist in a range of colours which closely match your natural tooth. The final part of minimally invasive dentistry is to consider moving teeth, rather than restoring teeth. If the natural teeth are actually in good condition but simply in the wrong place, rather than make additions to the front of the teeth to build them into the correct place (by using either dental veneers or dental bonding) the minimally invasive dentist will prefer to move teeth using orthodontics. Says Sia Maani from IQ Dental in Kent. When you come to consider orthodontics you really need to ask what type you want. Generally speaking fixed orthodontics is preferred by are a lot of dentists due to its ability to move teeth naturally and quickly, however with modern advances in clear braces and teeth coloured braces these are becoming more popular as patients wish to have orthodontics with no one else knowing. The advice of cosmetic-dental-treatments.info is to discuss your wants and desires with the dentist rather than ask for a specific treatment. If you tell your dentist what it is that you want as an outcome they can then decide on the best way to achieve this in the way that fits with your lifestyle the best.